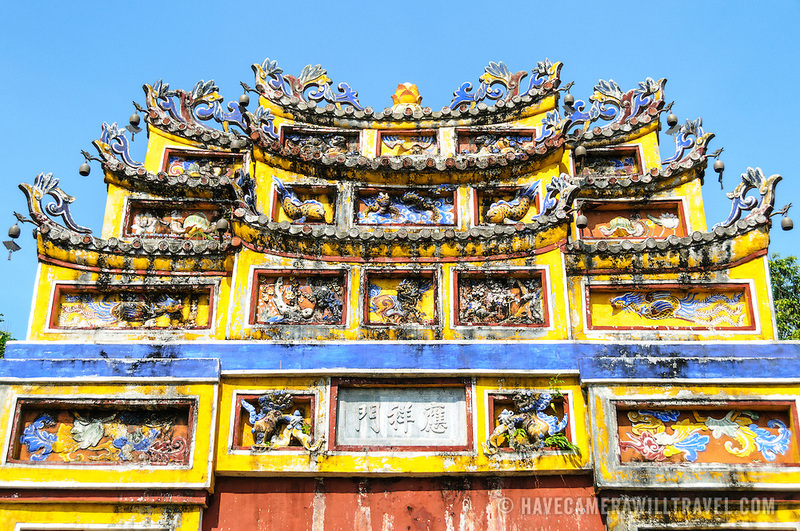 Ornate decorations on top of a courtyard gate at the Imperial City in Hue, Vietnam. A self-enclosed and fortified palace, the complex includes the Purple Forbidden City, which was the inner sanctum of the imperial household, as well as temples, courtyards, gardens, and other buildings. Much of the Imperial City was damaged or destroyed during the Vietnam War. It is now designated as a UNESCO World Heritage site.